Due to the hike in the demands for diesel cars in the domestic auto-market, General Motors (GM) is consistently working on the development of diesel in-lines that would be used in the upcoming cars of the company. It is also subjected that these diesel engines, would also be used to cater the other auto-markets overseas. 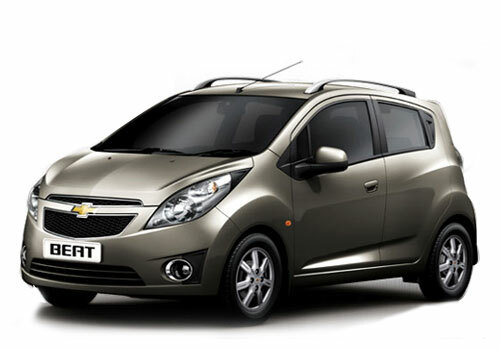 Last year, GM introduced the diesel variants of hatchback, Chevrolet Beat and it is now also looking ahead to launch the diesel versions of the much anticipated hatchback, Chevrolet Sail and upcoming MPV, Chevrolet Enjoy. For these cars, GM has developed the diesel engine technology in the Indian sub-continent and later on the company would supply these in-lines to the international auto-markets, starting with North and South Africa. General Motors India, President and Managing Director, Lowell Paddock stated that the diesel development currently done for hatchback Sail and MPV Enjoy would also be used in the international auto-markets, where buyers have larger preference for the diesel cars. Although, the markets to export the diesel power-trains have not been fully decided, but the officials stated that they would initially begin with the North and South African regions. Though, GM has no plans so far to build 1.0 liter diesel engine for the small car Beat outside the domestic shores, but the company has also not uttered about the manufacturing of diesel engines for Chevrolet Sail and the MPV particularly from India. The 1.0 liter entry level diesel inline of the company, used in Chevrolet Beat globally is manufactured from GM’s Talegaon facility in Maharashtra. GM’s technical centre located in Bangalore is the main hub of diesel engine development that has got employee strength of over 2,100. Moreover, General Motors’ International Operations has got five engineering centres, four design centers and nine satellite R&D facilities. However, the R&D centre at Bangalore is company’s mid-sized engineering station that primarily functions to cater products for the domestic auto-market and also performs the engineering operations for GM’s international market.